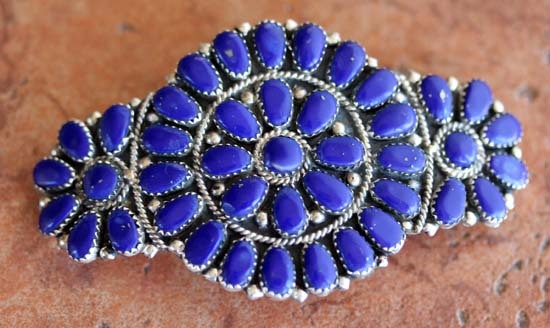 Navajo Native American Cluster Barrette made from sterling silver and lapis. Domestic shipping is free on all of our items. It is 2" long, and about 3 1/2" wide.